My in-laws are in town and let me just say how lucky I am to have such amazing in-laws. My mother-in-law majored in Home Economics in college so yes we have Susie Home Maker with us in the flesh. We have so much in common when it comes to our love of cooking. 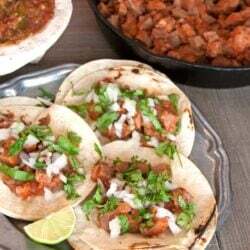 Before I stepped into their lives they really didn’t know much about Mexican cuisine. The only Mexican food I think they knew were chimichangas (deep fried burritos), and if you know me I cringe when I hear that word. We never ate chimichangas growing up and I’m not going to start now. That’s a whole other story for another post. As much as they didn’t know about Mexican cuisine I honestly didn’t know much about American cuisine. 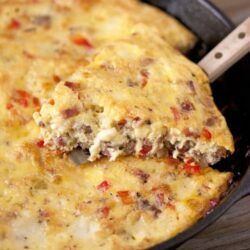 After years of marriage and visits from my in-laws, my mother-in-law continually amazed me with classic American recipes she grew up eating or has made for many years. You might remember her yummy Raisin Filled Cookies. 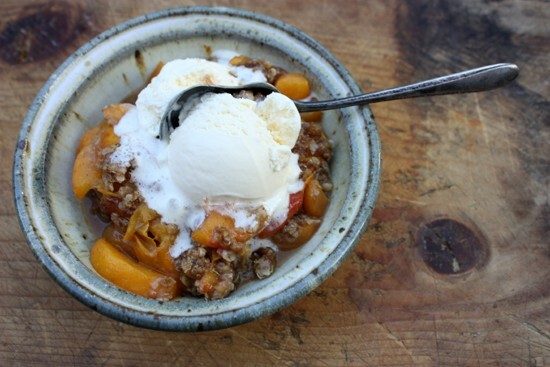 Today I want to share another one of her specialties, this fresh peach crisp. 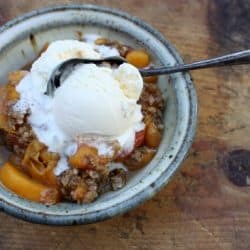 I had never heard of a peach crisp until she made it for the first time. It reminds me of a Dutch apple pie with a crunchy topping but made with fresh peaches instead of apples. It is truly heavenly. I wanted her secret recipe and come to find out its not much of a secret. The delicious dessert is in her Better Homes and Gardens Cook Book. 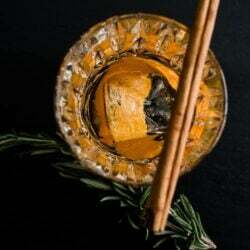 After tweaking the original recipe over the years, here is how she prepares it to this day. This streusel-like classic summer dessert will be a perfect end to any Labor Day meal. Serve this peach crisp warm from the oven topped with vanilla ice cream. 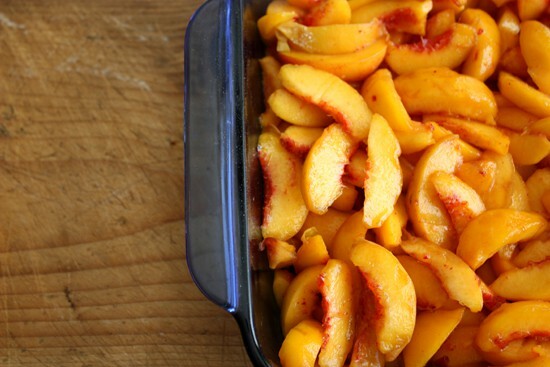 Place fruit in a 2-quart square baking dish. Stir in the granulated sugar. For topping, in a medium bowl combine the oats, brown sugar, flour, and spices. Cut in butter until mixture resembles coarse crumbs. Sprinkle topping over fruit. Bake for 30 to 35 minutes (40 minutes for thawed fruit) or until fruit is tender and topping is golden. If desired, serve warm with ice cream. Divine! At the moment I bake many crumbles/crisps as stone fruits are just perfect for making that kind of treat…. The funny thing is the way they say chimichangas — they call them “chimi-chIngas”. LOL! I long for some good peaches. I can find the locally-grown, tiny variety (a bit of a pain to peel so many), but the bigger ones are often mealy. This recipe makes my mouth water. Crisps are easy and always just such a terrific way to use summer fruit. Thanks! Crisp or cobbler is a tough challenge. I love them both. How can you go wrong with a pile of peaches and a crispy crust. This looks great. Mmm as you can tell by my blog name I LOVE peaches! This looks so good I want to try it! Family recipes are always the best, scrumptious and easy to prepare! The Peach Crisp is sparkling with the warmth of summer, a seductive post! I just made this for my adult ESL class dinner and the most comments were from students from Mexico who were amazed at what flavor can come from baking peaches! My recipe is very similar to yours.